For the health conscious individual who carefully follows sound diet and exercise regimens, as the proverbial saying goes, it’s a jungle out there. Pollutants in various forms bring carcinogens into our lives that could fester for years before bringing on cancer. Our favorite foods could be contaminated. And exercising in the great outdoors damages body cells in ways that can lead to heart disease and accelerate the aging process. The villains are free radicals. There is no simple way to describe free radicals, but let me try. A free radical is an incomplete, non-balanced, oxygen molecule capable of destroying an enzyme or protein molecule, or even an entire cell. Each free radical can generate a chain of reactions resulting in the release of thousands of free radicals that can destroy our body’s cell structures. These oxygen molecules can be produced by environmental pollutants as well as the body’s own metabolism. Even exercise, hailed by everyone as a vital component of a healthy lifestyle, can increase free radical formation due to increased oxygen intake. So, given the pervasiveness of free radicals in our daily routines, what’s a person to do to safeguard heath? One answer can be found in antioxidants, which are increasingly being recognized for their power in neutralizing free radicals and their health risks. Antioxidants are compounds that allow themselves to be oxidized (react with oxygen) and squelch free radical production. More and more studies are indicating that bringing more antioxidants into one’s diet can prevent cancer, heart disease and other ailments as well as slow the aging process. The evidence is too powerful for anyone interested in maximum health benefits to ignore. The most significant antioxidants are vitamin A (beta-carotene), vitamin C, vitamin E and selenium (a trace mineral). The two ways to increase one’s intake of antioxidants are through food choices and supplementation. A recent United States Department of Agriculture study analyzed the antioxidant contents of fruits, vegetables, and juices. Blueberries were shown to possess the highest amount of antioxidant power by far. Just 3.5 ounces of blueberries, enough to cover a bowl of cereal, provides nearly 60 times the antioxidant power of the recommended daily intake of vitamin E. The second highest rated fruit was strawberries at about a third the antioxidant power of blueberries. In both of these fruits, the primary antioxidants are flavonoid compounds which provide their color. Among vegetables, the highest rated item for antioxidant content was garlic, approximately 40% that of blueberries, but higher than strawberries. In order of antioxidant power, then came: kale, spinach, Brussels sprouts, alfalfa sprouts, broccoli, beets, red bell peppers, onions, corn, eggplant, cauliflower, potatoes, cabbage, lettuce, carrots, string beans, celery, and cucumbers. The highest rated juices were Concord grape juice (far ahead of all others), grapefruit, tomato, orange, and apple. Black and green teas also have high antioxidant power. Increasing one’s dietary intake of the specified fruits, vegetables and juices are recommended as the best way to protect the body against the potential health liabilities brought on by free radicals. Plus, they provide many other health benefits such as providing fiber, minerals, trace elements and additional vitamins while being cholesterol-free and virtually fat-free. Fruits and vegetables should occupy a major place in one’s daily diet. For the very active exerciser and even the non-exerciser, antioxidant supplements can possibly provide added health benefits. Please note though that research results in this area are not yet conclusive. Nonetheless, supplements of vitamin C, Vitamin E and vitamin D (beta carotene) can be taken with probable benefits and no added risks. Evidence suggests that vitamin E is perhaps the single most important antioxidant for combating atherosclerosis. One downside to taking supplements is the possible loss of the many other benefits – some yet to be discovered – of actual fruits, vegetables, and other foods if one tends to rely on the supplements over food consumption. Taking an isolated nutrient precludes the individual from receiving the potential gains from the many ways that whole foods interact with each other and the ingesting human body. Getting nutrients from food is always preferred. Drink fruit and vegetable juices. Pile lunch sandwiches with lots of vegetables – lettuce, tomato, onion, peppers, sprouts…. Buy prepackaged vegetables such as carrots for snack nibbling. Chop fresh fruits into chunks, freeze and then process with tofu to make smoothie drinks. Think of getting more than five [IPBN suggests at least ten] servings a day of fruits and vegetables with a variety of colors, for these are associated with different nutrients. In summary, we who attempt to live healthy lifestyles through following recommended dietary and exercise practices now have new allies in the fight against diseases and physical deterioration brought on by the presence of free radicals in our bodies. They are also called antioxidants. Fortunately, these health agents are present in some of the most delicious fruits and vegetables. Make them a part of your daily foods. It’s foolish not to. Their costs are much less than the alternatives. with wilderness writer husband Bob and part-time consulting. Diane and Bob are Charter Members of the Institute for Plant Based Nutrition. HEIRLOOM VEGETABLE GARDENING, by William Woys Weaver (New York: Henry Holt, 1997, $45.00, ISBN 0-8050-4025-0) has recently won two Julia Child Awards for excellence and scholarship. Deserved. Dean of heirloom vegetables writes beautifully. Exquisite illustrations. Every library and most homes need this fascinating tome. If you can afford, copies make memorable gifts. Good reading about good plants, good people, and good eating. A fabulous contribution to plant literature. LOVE YOURSELF THIN, The Revolutionary Spiritual Approach to Weight Loss, by Victoria Moran (New York: Daybreak Books/Rodale Press, 1997, $19.95, ISBN 0-87596-461-3) could also be titled “LOVE YOURSELF WELL” or “LOVE YOURSELF WHOLE.” This is more than a diet strategy book, it’s a whole life guide and lovely in every way. The narrative is enticing, recipes succulent. Nice read good counsel from an excellent writer and friend to all. Empowering. Wholesome. Interesting. For every library and a good gift for anyone. MAD COWBOY, by Howard Lyman with Glen Merzer (New York: Simon & Schuster, 1998, $23.00, ISBN 0-684-84516-4) is an autobiography of the author along with an expose of the creature slaughtering industry. Fearlessly boldly honest. This nice family man from Montana ranch country came to realize that what he’d been taught was hurtful to earth, creatures and himself. He thrust himself out of tragedy in the killing fields, made a new life based on truth and reality. A classic to read and share. Must for libraries, essential for everyone. A testimonial letter explaining how to get well and survive wholesomely. The Most Noble Diet, Food Selection and Ethics, by George Eisman, R.D., et al. Fourth Edition Revised (Burdett, New York: Diet Ethics [3835 Route 414, 14818], 1994, $9.95, ISBN 0-961-4435-1-0) is a classic to be read and re-read many times, a companion to remind of ethical decisionmaking processes. Here’s a registered dietitian, experienced teacher and devoted father with facts and rational reasons. More than scientific, it’s also human and humane. Nice graphics, fine recipes. Practical and uplifting vegan literary pearl. Every library has a need for this book and so do we all. RECLAIMING OUR HEALTH, Exploding the Medical Myth and Embracing the Source of True Healing, by John Robbins (Tiburon, California: H J Kramer [Box 1082, 94920], 1996, $24.00, ISBN 0-915811-69-3) is another major contribution from the author of Diet for A New America. Well conceived treatise on wellness, well documented and written, well edited and presented. Simply wonderful, nice as can be. A vegan classic offered with love and scientific documentation. Libraries can circulate multiple copies, good gift for awakening doctors and other medical practitioners, everyone needs. The Scientific Basis of Vegetarianism, by William Harris, M.D. (Honolulu: Hawaii Health Publishers [1415 Victoria Street, Suite 1106, 96822-3663], 1997, $17.95 postpaid, ISBN 0-964653-80-X) is one of a kind, classic, understandable, the only source for complete scientific data on cholesterol sources. Broad and deep, scientific in every sense of the term. Readable for lay people and interesting. Everyone should have a copy, buy others for approachable health field friends and libraries. Here’s truth peeled layer by layer so we can see what’s at the scientific core of vegetarianism. If we could purchase only one book this year, it would have to be this one. Another vegan literary jewel. Vegan, The New Ethics of Eating, by Eric Marcus (Ithaca, New York: McBooks Press [120 West State Street, 14850], 1998, ISBN 30-935526-35-8) is the first offering from an excellent young writer and ethicist whose “urgent” message really can “heal our planet” and bodies. Here are details with photos of the creature massacre business along with biographical briefs on “food heroes” and a description of the passage of one soul from unawareness to compassion. Libraries need copies, families, and individuals as well. A valuable contribution and ethical presentation. It’s Only Natural Vegan Restaurant continues to be the “Best Restaurant in the United States” in our view. It’s a whole meal heaven every day. We recently visited the new ION quarters in the Main Street Market in Middletown, Connecticut, quadrupled in size, even more beautifully decorated and blessed with ample and convenient parking. Even the window views of the local skyline and Connecticut River bridge are splendid. A large deck provides comfortable seating on outdoor days. The tile mural of vegetables and local scenery is outstanding. It and oil paintings of pears also by co-owner Mark Shadle’s father-in-law are what the Japanese term “shibui” or just right. Architectural design and color harmony are perfect. The fiancee of co-owner Lisa Magee painted walls and pillars with a loving touch. The server staff is larger, well trained, very pleasant and efficient. The food couldn’t be improved upon, it remains simply exquisite and the best. Mark and Lisa are designing and cooking foods unavailable anywhere else. For us, a meal at ION is ecstasy. And the sooner you visit ION, the happier and better fed you will be. If you can’t get there soon, order the ION cookbooks, read and try the mouthwatering recipes. As close to perfection as we’ve found. Sunday brunch is fantastic. Try the pancakes, granola French toast, soysage, and delicate “Broccoli Benedict.” Lunches and dinners are excellent every day. They’ll pack food for you to take along. In June they’re catering Lisa’s wedding and might be persuaded to do others. Expert and experienced professionals here. Real food! Wholesome. Beautiful. Some of it they grow themselves. Absolutely the best people and cuisine. Just a few minutes southeast of Hartford, this is one of the great restaurants of the world. Keep up the good work Mark and Lisa. We love you. It’s Only Natural Restaurant and Café Restaurant, 386 Main Street, Middletown, Connecticut 06457, TEL: 860-346-9210, FAX: 860-346-6025. Vegan, organic as possible and healthy! What other restaurants deserve the next BEST RESTAURANT IN THE UNITED STATES FIVE STAR (*****) AWARD? ION’s Mark Shadle says there’s a great one in San Francisco. Maybe more? Others elsewhere? In the Southwest, Northwest, Midwest, and Canada? Mexico? Puerto Rico? The Raw Experience Restaurant on Maui is noted as being “in the forefront of a diet movement based on raw or living foods” by freelance writer Valerie Reiss in the June 1998 issue of Vegetarian Times (Pages 40-46). Vegan of course. Proprietor chefs Jeremy Safron and Renee’ Underkoffler deserve recognition. Chef Eric Skokan’s Valentine’s Café in San Francisco was praised by freelance author Thomas Dougherty in the March 1998 issue of Veggie Life (Pages 46-51, 84). Another easterner went west to live his dreams. Eric, and Valentine’s have been racking up “best” awards from the San Francisco Weekly and Bay Area Naturally since 1996. Vegan. Afreea’s in Philadelphia features raw vegan cuisine – with West African touches. Exceptional. Atlanta and Washington, D.C. have raw food restaurants considered excellent as well. The June 1998 issue of Vegetarian Times, describes “Stirring Meals” at San Francisco’s Millennium Restaurant in a laudatory article by freelance writer Christina Waters (Pages 48-53.) Yes, it’s vegan. She praises the food artistry of chef proprietor Eric Tucker, another graduate of the Natural Gourmet Institute in New York City. It appears that America is enjoying a new wave of excellence in vegan epicurean cuisine and we have a role in helping this quality circle expand. To these culinary pioneers we say “Hurrah for you, keep the good times rolling and help one another.” Don’t you agree that we have a major positive change here? Let’s encourage these young people, support their restaurants and relish their foods. IPBN members and other PBN readers, please let us know your choices and reasoning, send menus and invite us to visit what you consider champion restaurants and super chefs. We aim to uncover America’s BEST and tell the world. Restauranteurs who want to be the BEST will benefit from visits to these exemplars and consultations with their developer-proprietor-chefs. Inevitably, we’re going to have a vegan school for culinary arts someday. Such outstanding young teachers can’t be stopped. Their influence will spread. Meanwhile, help us identify and honor other top performers leading the vegan cuisine revolution. Check out those we mention throughout this issue. Lots of great chefs! Andy Lefkowitz is the IPBN Hospital Food Service Project Coordinator. A vegan activist, hospital-based social worker, experienced professional in health care systems, family man and soon to be a world traveler, Andy has led in this area of need for many years. He works in a major urban hospital, has worked in several other hospitals and knows hospitals inside out. As the founding president of The Vegetarians of Philadelphia, now retired from that role and presently serving as treasurer, Andy has demonstrated leadership in carrying out numerous public education projects centered on plant-based nutrition. A hundred pounds of textured vegetable protein including Super Chunk TVP donated by Archer Daniels Midland has been consumed by doctors, nurses and other hospital staff at Pennsylvania Hospital during March and April. ADM (800-447-2302) also provided a thousand brochures describing benefits of soy protein. If hospital purchasing agents purchase TVP in the future and food service personnel concoct their own variations of soy-based foods for their colleague consumers, and if these regular users of the facility continue to select plant based nutrition alternatives, this project will be a long-term success. Meanwhile, the short-term success is undeniable. Next, the plan is to field test vegan entrees representing Italian cuisine prepared, frozen and shipped nationally to institutional food service kitchens by Casa di Bertacchi Corporation in Vineland, New Jersey (1-800-422-7234). These include tofu, potato, grain, and spice filled pasta formed as ravioli and stuffed shells. Such advances can also occur your hospitals. This summer Andy will visit the Netherlands in northwestern Europe, reporting back to PBN readers regarding vegan and vegetarian developments he observes there, and widening the IPBN circle of friends still further. We’ve asked him to research food service in Dutch hospitals. With all his responsibilities extensive as he is tall, Andy has limited time to share with IPBN colleagues around the country. So we must nurture and share his talents wisely. He is excited to have this new opportunity to serve nationally and internationally and your letters to him via IPBN will all receive sincere responses from this expert in a field that can benefit everyone as it grows: Plant Based Nutrition in Hospital Food Service. Can there be any more important audience for whole live vegan foods and education than hospital staff personnel, visiting relatives and friends of patients? Andy’s our man and he’s in there winning friends while improving public health with plant-based nutrition. The first step in saving the world is feeding it. At the Annual Meeting of the McDonald’s Corporation, May 21, 1998, Chairman Michael R. Quinlan “disclosed that it’s testing – just testing, mind you – a veggie burger in the U.S.” He suggested, “ We are open to the idea…. If McDonald’s can sell a veggie burger at a profitable level, why shouldn’t we?” (The Wall Street Journal, May 22, 1998, Page A4.) You should! The world’s been waiting! Hurry! McVegan! In Wisconsin, “the new EarthHeart Café and Market is now open in quaint downtown DePere” at 416 George Street. The zip code is 54115, TEL: 929-336-4801, EMAIL: eartheart@juno.com. The grand opening will be June 5-7, 1998 in the newly renovated former United States Post Office building. Stone, solid, durable just like EarthHeart Foundation, its founders Steve and Chris McDiarmid and their loyal supporters. They’ll be at NAVS SummerFest in Johnstown, Pennsylvania in July to share with friends what they have learned about “non-violence through vegetarian food choices.” They invite everyone to visit to try their widely revered vegan cuisine and sample the “all new Sunday Brunch at EarthHeart.” Call ahead and they’ll advise regarding scenic travel routings and local accommodations for visitors. Request the schedule of classes which have satisfied over 2,000. These guys work! They quote Thoreau: “It’s not enough to be busy, so are the ants. The question is, what are we busy about?” Their answer is EarthHeart love. Mort and Maida Genser are friends of IPBN in Oakland, Michigan. Maida has provided helpful suggestions for PBN. Our email communications with the Gensers have been active for a year. Friends like these are friends indeed. Mort is serving as Great Lakes Area Director for IPBN. It’s charity work which suits him and he’ll be an invaluable friend to everyone in the region. Already he’s been challenged by a medical doctor who “wants to see proof of what vegetarianism can do to thwart cancer and multiple sclerosis.” Lovely, eh? As for cancer, our response is: “Have a look at the research literature, Doc. Check in with the National Institutes for Health oncologists, National Institute for Cancer Research, American Cancer Society and Center for the Advancement of Cancer Education.” As for multiple sclerosis, from which the doctor’s daughter suffers, “Check the MS research literature and specialists, Doc. Breakthroughs are needed here and your family is on our prayer list. We had a cousin with MS who tried everything, but experienced only brief seeming remissions no matter what he ate or did. And he tried it all. After fighting MS 30 years, John died advocating eating pure food, essentially vegetables, grains and fruits which he tested fairly successfully at a clinic in Germany. He didn’t always follow the regimen and insisted that ‘they recommended beer’ which pleased him enormously. His death at 60 was from heart disease, he had overcome cancer, yet he also had diabetes and the usual ailments associated with the “average American diet” as he put it. In his personal view, his troubles began with excessive alcohol consumption while on military duty in Germany in the early 1950s and exposure to agricultural chemicals – pesticides and fertilizers – while he was a young farmer in the late 1950s. ‘I got some in my eye once, and from then on I noticed changes.’” None of this helps the doctor’s daughter, but maybe MS experienced vegetarians and vegans will share information which Mort can pass on to the good doctor. We regret that conversion to vegetarianism cannot immediately remit MS, or cancer, but it might provide some benefits – along with expert medical supervision. If we had MS, like our cousin and the good doctor’s daughter, we’d consider every alternative – and, as John believed worthwhile, experiment with our bodies to help others in the future. “We’re gonna lick this,” he’d say. “Maybe not in my time, but we will.” IPBN could co-sponsor the good doctor’s own research on plant based nutrition and multiple schlerosis. So, Mort, help our Great Lakes Area friends fund practical research and keep hope alive. To make contact with our IPBN colleague in the field around the beautiful Great Lakes write: Mort Genser, IPBN Great Lakes Area Director, 1902 Wickham Street, Royal Oak, Michigan, TEL: 348-288-6052, Email: maidaw@aol.com. If you help one person, Mort, you save the world. Maida’s already saved you. Minneapolis and St. Paul, Minnesota have some great restaurants. Not just a few. During a recent four-day research tour of Minneapolis vegetarian service providers we discovered what we think is the best vegetarian restaurant in the twin cities. It’s not an exclusively plant based restaurant, but the full page “vegetarian menu” is actually vegan and offers many items, each of which is truly outstanding. Soups, salads, entrees, desserts – they have it all. With due respect to other “vegetarian” restaurants – every one which we tried was good – this is our favorite because of selection, appearance, aroma, taste, texture, nutritional balance, service and ambiance. The prices are reasonable and one departs fully satisfied. We’ve never eaten so much Vietnamese food or found it better. Here’s a wonderful place to eat. Kimson Vietnamese Cuisine, 8654 Lyndale Avenue South, Bloomington, Minnesota 55420, TEL: 612-885-8230. Kansas City, Missouri has a vegan writer in residence who has recently published two significant books. Victoria Moran’s LOVE YOURSELF THIN (Daybreak/Rodale, 1997) is quite a contribution, and now comes Shelter for the Spirit (HarperCollins, 1998). In DELICIOUS, May, 1998, freelance writer Naomi Horii’s article “Make your home a sanctuary” praises Victoria and describes her transition from small to larger family and apartment to large house. Citing Victoria’s newest book she repeats the admonition: “I think all we need to be happy is to let go, be content, and let things fall into place.” Victoria’s a vegan ethicist-philosopher, an excellent professional writer and speaker who always leaves the audience feeling good – about others and themselves. Her publishers sponsor book signings. And we look forward to hearing her delightful addresses most every year at the NAVS SummerFest. Lot’s of talent and goodness in America’s heartland. America’s wheat grass pioneers are the folks in Kansas who have built up the Pines dried wheat grass juice enterprise. For decades they’ve grown it, squeezed out and dried the juice, selling it in powder and tablets as Pines – products which have developed and lead the market – and can be trusted. We remember when their dehydrated wheat grass juice market was small. They’ve been good hearted all the way through since the founding in 1976 and were giving away their fine products to desperate Cambodians and Laotians during the Vietnam Era long ago. Remember Dr. Tom Dooley? The little Pines company in Kansas heeded the calls for mercy and tried to help improve nutrition along the banks of the Mekong River way back then. During 1997-1998 Pines has donated over half a million dollars worth of products through Feed My People and Operation Blessing to ease famines in Liberia and North Korea. Donations since 1991 have exceeded four million dollars in fine Pines products. Nice people run Pines, they’re solid citizens, generous, scientific in their approaches and they’re persistent. They’re still at it after 22 years as a corporation and over 60 years as a concept. Now they have competitors. Some say barley grass juice is better than wheat. Pines has it. Others aren’t sure and want to blend both, and Pines has it. Having learned how to dehydrate plant materials using low temperatures, to preserve enzymes, in rotating drums, Pines crews have moved on from wheat and barley grass juices to those of oats and rye, alfalfa, beets and rhubarb. All these products are available in various packagings from Pines. They’ll treat you well. What don’t they have? Until everyone in the world is either growing their own, drinking wheat and barley grass juice fresh daily, or using a competitor’s product regularly, Pine’s people won’t feel they have enough customers yet. With six billion people on earth, we’ve a ways to go before everyone’s juicing green (with a little red in there when you use the dried beet and rhubarb juice powders). Pines wants to help you try their plant-based nutrition specialties soon as possible. If you want information, free samples or to purchase a trainload, call: 800-697-4637. They have a new catalog. Write: PINES, Box 1107, Lawrence, Kansas 66044. There’s a website at www.wheatgrass.com to educate us. Fresh, dried, homegrown or bought, go green! Eat green. Drink green. It’s healthy. How did all this get started you may ask. Good question. It seems there was a professor at the University of Kansas who, in the 1930s, commenced cereal grain research on a plot where Pines now grows and operates. He got interested in grass juices and determined that winter wheat grass juice was rich in nutritional enzymes, minerals and much else which humans need to be well nourished. Over the years he continued to grow, juice, dry and experiment with the nutritional effects of various products. One day, after around forty years of experimentation, he and others started the Pines Company to commercially produce his dried wheat grass juice. They thought the pine tree would be a nice symbol of peace and harmony with nature, hence the name Pines. Vegan dining and lodging in the middle of Vermont’s Green Mountains on Route 100 are awaiting your visit at the Sweet Onion Country Inn. “Come soon and stay awhile” say the proprietor-staff which include Kathy, Pat, Charlie and Ron – he “heads up the kitchen.” Few chefs are certified nutritionists and vegans as Ron Heatley is. Plus, he’s a really good cook. Things are improving in VeganAmerica and this family enterprise is on the forward good eating edge. Entrepreneurialism is the lifestyle they’ve chosen. Fair pricing, comfortable cozy quarters. “No smoking.” “Sorry, no pets at this time.” Six guest rooms, four with private baths plus a separate two bedroom family unit. Just sit on the porch, read a good book, put together a puzzle or converse as you like. Take a walk, ride a bike, see the waterfalls or lay under a tree and listen to the rushing river waters. How about a permanent reservation to visit every year at the same time? They can arrange a Great Northern Excursion and pack meals to carry along. What a lovely location. You’ll not find finer food more lovingly prepared and served or better value plant based nutrition, lodging and ambiance than at Sweet Onion Country Inn, Box 66, Hancock, Vermont 05748, TEL: 802-767-3734, FAX: 802-767-9227, EMAIL: SweetO@madriver.com, WEBSITE: madriver.com/lodging/SweetO. Visit soon and often. Tell them we sent you! Ask for the IPBN Charter Member or IPBN Friend “discount” which shouldn’t cost you more than ten percent more…. Chlorophyll therapy has…no toxic side effects. In the last decade, six of the ten foods growing fastest in popularity have been ‘grain-based.’ The winners include pasta, bagels, popcorn/pretzels, ready-to-eat sandwiches, ready-to-eat cereal and pizza crust. Gain more from grains by putting a healthy spin on your choices. Select whole wheat or whole grain pasta, bagels and bread. Extra points for fiber. Exactly how much can you eat in a day? It’s easy to figure. Experts recommend no more than 30% of your calories come from fat. Do the math. Figure how many calories you eat in a day, then divide the number by 30. The answer is the maximum number of grams of fat that you could/should eat in one day. People with diabetes are 2 to 5 times more likely to have heart disease or a stroke. That is compared to someone without diabetes. If you have diabetes, lower your risk for heart problems. Eat a low-fat diet and get regular with your physical activity. Exercise can prevent or delay serious complications. Schedule it as an appointment. Don’t miss one. Americans are grazing on more grains like rice and pasta. Over the past 20 years, Americans have included 30% more grain-type foods in their diets. Add grains to your grocery list. Pick whole grains such as brown rice and whole wheat pasta. They add fiber to your diet – three times the fiber compared with their ‘more refined’ siblings. These daily health tips appear regularly on page A-4 of The Wall Street Journal as advertisements sponsored by the American Heart Association (“Fighting Heart Disease and Stroke”) and supported by ConAgra Inc. (“makers of Healthy Choice”). Those which meet the pure vegetarian vegan standard are reprinted to honor their developers and educate everyone. IPBN supports the goal of TWSJ, AHA, and CAI which is to reduce and eliminate heart disease and its dietary correlates. Whatever our differences in the details, preferred strategies and time schedules, on the goal of heart healthiness through wholesome plant-based nutrition and physical exercise we are as one. Live longer. Live better. Go vegetarian. Small batch entrepreneur Bonnie Fiedler and family at Catskill Mountain Baking LLC in Upstate New York make some mighty fine products which are distributed in the east and shipped all over the country. Bonnie says “A fellow in California offered $10,000.00 to be sure we had enough money to succeed” with this business, and he invited us to move the bakery to his neighborhood on the west coast. We’ve thanked Bonnie for her splendid bakery products (and explained why carob is preferable to chocolate agriculturally and nutritionally so that we can eat even more of them). The wheat-free vegan Pumpkin Lowfat Muffin contains: organic spelt flour; organic pumpkin; organic evaporated cane juice; organic raisins; organic soymilk; blended potato starch – tapioca flour – plant source calcium lactate – calcium carbonate and citric acid; carbohydrate gum; organic canola oil; unsulphured molasses; organic spices; baking soda; aluminum-free baking powder; and organic sea salt. Each muffin weighs 3.5 ounces (or more). They are individually packaged and have a reasonable shelf- and pantry-life. We can eat a dozen a week, each of us…. Call: 888-505-7772 or write CMBC, 117 Cauterskill Avenue, Catskill, New York 12414. It all comes down to personal responsibility. We knew ancient Chinese, Aztec, Brazilian and Peruvian gardeners used raised beds to grow their vegetables. Frankly, we hadn’t realized that Pilgrims on Cape Cod laid up stones, logs, limbs and boards to make raised beds for their survivalist gardens surrounding their tiny wooden houses. But they did. In Mick Hales’ beautifully written and photographed article “Plimoth Plantation, Early Gardens of Survival (Colonial Homes, March, 1998, Pages 80-87) we’ve learned the newly arrived surviving Pilgrims planted angelica, Jerusalem artichokes, asparagus, beans, borage, cabbages, carrots, comfrey, cresses, elecampane, fennel, feverfew, Jerusalem artichokes, lettuces, leeks, mints, musk rose, mustard, native corn, onions, orache, parsnips, peas, pumpkins, purslane, sorrel, spinach, and squashes. “For fruit they found wild plums, grapes, cherries, gooseberries, raspberries and currants. The wild strawberries were more numerous, larger, and sweeter than any they had known before. There were also walnuts, hickory nuts, and chestnuts.” (Page 84.) According to agricultural researchers, “Cultivation was in raised beds with soil one to three feet deep, bordered with stone or wood.” (Page 84.) For the most part, these were the plants they had known in Britain and Holland. They learned of some new plants, hilling and interplanting techniques from friendly native Americans. Manures were in their soil mix, composts and presumably seaweeds for good measure. In hand hewn wooden wheelbarrows they carted stones, soils, mulches and plants about – much as we do today. To visit the restored village and see historically authentic gardening visit Plimoth Plantation, Cape Cod, Massachusetts. Heirloom and native seeds are available from 800-262-9356. Request a catalog and a brochure on this historic site. A copy of the issue cited can be obtained through Colonial Homes, 1790 Broadway, New York, New York 100019-5905, Tel: 212-830-2910, Fax: 212-977-4153. Let’s plant Native American-Pilgrim gardens! Enjoy the North American Vegetarian Society annual Summerfest on the University of Pittsburgh’s mountaintop ecology campus at Johnstown, Pennsylvania, July 8-12, 1998. Chef Ken Bergeron will supervise every meal. Vegan. Time to make reservations. TEL: 518-568-7970, FAX: 518-568-7979, WEBSITE: www.cyberveg.org/navs/fest98, or fast mail NAVS, Box 72, Dolgeville, New York 13329. Enjoy the Natural Nutritional Foods Association Annual Trade Show and Convention, MARKETPLACE ’98, July 14-18, in San Antonio, Texas, at the Henry B. Gonzales Convention Center. Time to make reservations TEL: 800-996-6632, FAX: 714-622-6266, EMAIL: nnfa@aol.com, WEBSITE: www.nnfa.org, write: NNFA, 3931 MacArthur Boulevard, Suite 101, Newport Beach, California 92660. Enjoy the American Natural Hygiene Society Fiftieth Anniversary Convention, July 31 – August 4, 1998, in Orlando, Florida at the Orlando Marriott. Chef John Kowakoswski will supervise every meal. Vegan. Time to make reservations. TEL: 813-855-6607, FAX: 813-855-8052, or write to ANHS, Box 30630, Tampa, Florida 33630. Enjoy the American Vegan Society Annual Summer Conference on the Evergreen State College campus at Olympia, Washington, July 28 – August 2, 1998. Chef Ron Pickarski will supervise every meal. Vegan. Time to make reservations. Call 609-694-2887, fax 609-694-2288 or mail to AVS, 56 Dinshah Lane, Box H, Malaga, New Jersey, 08328. One in eight plant species is threatened with extinction globally. “I’m delicious toasted…. Slices extra thin…. 3 minutes to oven…. No kneading or rising…. No preservatives…. No cholesterol…. No fat…. No sugar…. No salt…. 38% protein…. Makes breads, buns, pizza, breakfast cakes….” Contains: specially blended high protein gluten and organic oat or organic soy flour and yeast. What is it? FUTUREBREAD INSTANT MIX, a 15.5 ounce package of blended breadmaking ingredients sealed in a plastic bag in a sturdy easily shippable corrugated box. Four per carton, and UPS delivery is included, at $19.95. Specify “soy” or “oat.” This product has been developed and continually improved over twenty years in response to a diabetic husband’s and son’s nutritional needs. Designed by nutritionist Marlene Lerman, president of Futurebread Inc., 6121 Castor Avenue, Philadelphia, Pennsylvania 19149, TEL: 215-533-4217. Marlene can ship any quantity to any address. It’s a nice product, wholesome and convenient. With a little cinnamon here, maple syrup and chopped pecans there, anyone can quickly make a batch of delicious sweet rolls. Add bran if you like, whatever seeds you choose. Marlene suggests “a whole cup of flax seeds and three tablespoons of caraway seeds.” Or, bake a traditional round loaf in the oven. Fits into a standard loaf pan or use it in your automated breadmaking machine. Feeling spunky? Twirl a pizza crust and load on your favorite sauce and vegetables. Here’s dough for the masters’ hands. Great products. Let Marlene know how many packages to ship and advise us of the variety of bread products you make with FUTUREBREAD. Everything is energy and information. And we notice that you’ve stopped stuttering. “That too,” he said, this plus fifty friend of IPBN in New Jersey. Do you really think it’s the flax seeds? So, what can we say? Here’s another testimonial for flax seeds. Undoubtedly Pilgrims ate them as did their British and Dutch relatives in Europe. Earlier Greeks ate these seeds which are rich sources of Omega 3 essential fatty acids alpha-linolenic acid and Omega 6 alpha linoleic acid in wholesome balance. Black currants are another good source well known in past centuries. But nothing quite equals flax seeds in terms of availability, ease of storage and low cost. Try some soon and ask the nearest veterinarian of their benefits. We first ate them along with the horses we were feeding in the 1930s and 1940s. Flax, oats, wheat, barley. We ate well then, like the horses, and all raw. Never ate much hay, though…. Who knows what might have become of us but for horses sharing their flax seeds, grains, and carrots. Try some flax seeds soon. Oats and grains are good too. And a little alfalfa and wheat grass. Chew well. It’s simply horsed sense. Yeah! I know. I am vegetarian because the God inside me wants it. folks who select, package and deliver right to people’s homes? “We’ve discussed the need for one, “ Alan responded. Maybe we can help find out what’s out there and help you guys get organized nationally, we suggested, following with then there’s Canada and Mexico, the Caribbean…. “Yeah,” said Alan. He’s unloaded a lot of trucks and packed innumerable boxes. Alan knows the good produce and loves to share it. Alan’s mid-Atlantic states crew delivers our twice monthly packages, if we lived several states away UPS would bring them. The fruits and vegetables do arrive fresh. Each delivery weighs and costs the same. We like the strong corrugated boxes with insulating styrofoam liners. Inside, the produce items are wrapped with paper in a large plastic bag. A frozen gel package is included to keep the temperature low. We return cartons and freezer packs for re-use. It costs us a few percent more than the same produce at Fresh Fields Whole Foods Markets several miles away. However, we avoid the driving, parking, selecting, cash register line, bagging and traffic risks en route to the store and back home. Our friends at Fresh Fields say “They provide a different type of service.” Alan delivers fresh sprouts to them. Both vendors serve the public, but differently. Certainly we continue to shop at Fresh Fields, for they have many more products and we do like to shop. But Door to Door Organics home delivery service reduces the time spent shopping, eliminates some of the decisionmaking and ensures that we have the finest fresh produce America has to offer in our house at all times. We’ve had the best chard we’ve ever eaten, marvelous mangoes and, twice, strawberries better than any we’ve ever before bought. We like it. Would you consider such service if it was available in your area? Is it presently available? We’ve met fellows from Denver who have a midwestern operation. Are there others you know of? Please help us find out who is providing this sort of service: delivering fresh organic produce in chilled boxes within 24 hours after taking the products from growers’ fields off trucks and planes. Maybe we’ll be able to help these distributors get acquainted and collaboratively organized to the benefit of consumers, producers and everyone in between. We can list them, provide a directory if there are enough to fill a page, invite these entrepreneurs to speak at meetings and educate us regarding their needs. If others wish to enter this sort of business, we can put them in contact with Alan Tizer, his partner Herb Gersenson and whomever else we find is already doing it. Door To Door Organics can be reached via TEL: 888-283-4443, and EMAIL: organicdtd@aol.com or write them at 1836-15 Stout Drive, Ivyland, Pennsylvania 18974. When we called Alan to verify the accuracy of every word in this article, he said, “We’re gonna go national. We’re working on it right now. We’re thinking we’ll need distribution centers, hubs from which we can ship cheaply into areas. Otherwise, the shipping can cost more than the produce.” “Also,” he drawled, “we’re coming out with a line of dried organic products and herbs.” “And we deliver wholesale products to retailers for Sproutman.” Well, let’s hear it for Alan and Herb. If you want it, Door To Door Organics can be on your front step reasonably soon. Want it? America, here they come…. The people with the most talent have the biggest hearts. IPBN publications include two directories which are expanding as readers add to the information base. The Directory of Plant Based Nutrition Related Organizations has added over two hundred new listings since the Winter issue of PBN. One IPBN friend in Ohio sent three pages of address he’d gathered over many years. Keep those cards, letters and emails coming. More will be needed until our listings represent every source of interest to you. We want to share your knowledge with everyone. Our Directory of Plant Based Nutrition Seed and Garden Suppliers has been enlarged also, by a dozen or so suppliers we’ve found gleaning obscure and mainstream gardening journals. As they are revised, updated copies are inserted in IPBN Member mailings gratis. 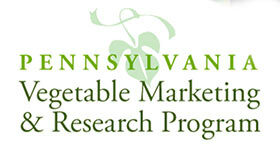 We hope to develop directories of vegan restaurants, inns and bed and breakfast establishments. Organic produce services? What other directories would be useful in your wholesome, healthy, happy lives? Thank you for sharing in the work of IPBN. We love you. Enjoy! At the Annual Meeting of the McDonald’s Corporation, May 21, 1998, Chairman Michael R. Quinlan “disclosed that it’s testing – just testing, mind you – a veggie burger in the U.S.” He suggested, “ We are open to the idea…. If McDonald’s can sell a veggie burger at a profitable level, why shouldn’t we?” (The Wall Street Journal, May 22, 1998, Page A4.) You should! Do it! The world’s waiting needs it, wants it! You’re already selling them in Britain, Holland, and India. Do it right, though. Appeal to all: McVegan! Already, reports TWSJ, “Three of the fast-food giant’s restaurants in Lower Manhattan are selling the … sandwich, in apparent response to vegetarians for such a product.” McDonald’s “already sells” veggie burgers in “Britain, Holland, and India.”(Page A4.) Thailand too? Well, good. We’re proud of Chairman Quinlan, his enlightened colleagues, McDonald’s and all those New York City vegetarians who apparently influenced this progress. We’re on standby awaiting McVegan and relish seeing McDonald’s leading the fast-food industry in advancing healthful products for consumers. Thanks to McDonald’s, TWSJ – which brought us the news when no other media service did, PETA and everyone involved in this leap forward. The tide has turned. This is significant. Internal Revenue Service recognizes IPBN as a 501(c)(3) tax-exempt scientific educational charity. Donations to IPBN are fully tax-deductible. The United States Postal Service also recognizes IPBN as a tax-exempt charitable organization and allows special bulk rates for mailings. This Spring IPBN staff have provided educational presentations and/or displays at conferences, public meetings, and fairs in Pennsylvania, New Jersey, Ontario and Vermont. We have met with plant-based nutrition specialists and advocates in these three states, New York and Minnesota. Communications exchanges have ranged from Russia, England, South Africa and Australia to Hawaii, California, Texas, New Mexico, Florida, Virginia, Maryland, Minnesota, Michigan and other states. We have assisted IPBN volunteer liaison representatives in Pennsylvania, Massachusetts, New Jersey, and Michigan to organize local educational efforts, activate local vegetarian societies and share information regarding the American Vegan Society, North American Vegetarian Society, Vegetarian Resource Group, EarthSave, EarthHeart, Physicians Committee for Responsible Medicine, Vegetarian Union of North America and International Vegetarian Union, Farm Sanctuary, Farm Animal Reform Movement (FARM) and a plethora of other international, national, regional, state and local organizations devoted to saving lives of humans and other creatures through scientific plant-based nutrition, rational ethics and common sense. By the end of Summer we will have crossed America and rediscovered the Pacific Northwest. In 1999, Hawaii again. Someday Alaska. IPBN members are all over the place. Our goal of attracting a member from each state and province during the first year is moving along. Currently, IPBM members live in California, Maine, Maryland, Massachusetts, Michigan, New Jersey, New Hampshire, New York, Ontario, Pennsylvania, Texas, Vermont, Virginia…. These are very important people, a veritable who’s who of the good life causes. Many are leaders whose positive influence is well known. Others are quietly and subtly influential in organizations and fields of importance. Some are in extremely strategic positions, but cannot express their personal philosophies. Everyone is vital. One by one the circle widens as the IPBN network grows. Individual contributions since Fall 1997 have ranged from $12.00, the regular membership donation, to $20.00, $100.00 and $500.00. Doctors, students, laborers, business and professional people who are economical, culturally and ethnically diverse. We are awed and inspired and grateful. Truly a non-profit organization, IPBN income does yet equal expenditures for materials it donates to individuals, groups and other organizations. By intent and law, IPBN responds to all requests and helps people regardless of their ability to pay. As possible, IPBN donates food to people in need, and some of these are or were homeless, soup kitchen and public assistance recipients and welfare to work aspirants. In Pennsylvania a charity must give without recompense and this is the spirit of our work. But for donations, however, our own and those of others, there would be neither seeds, vegetables or printed paper to give away. A charity, IPBN is itself dependent on the generosity of donors. We believe that every dollar donated to IPBN is deductible on federal tax returns. Charitable organizations may provide donors with membership and information such as newsletters and website access. IPBN Charter Members should consult with their accountants for tax advice. What you eat is your business. We do not ask or tell. Wherever you are on the dietary continuum, we respect your progress. Our mission is to educate as many as we can regarding the benefits of edible plant foods: algae, bacteria, barks, flowers, fruits, fungi, grains, leaves, lentils, nuts, pods, pollens, roots, saps, seeds, tubers, vegetables and yeasts. These phytonutrients and nutraceuticals we consider foods and medicines. In our vocabulary, all foods are good. If something is not good for humans to eat, if it encourages illnesses, we classify it as a non-food substance. It’s up to you to figure out which products are not really health encouraging foods, your business if you choose to eat these substances. In the 1940s, we learned that a beverage most everyone felt was necessary was actually a non-food. We gave it up for twenty years and allergies disappeared. Thanks to hometown doctor Don Paul Jones, nurse Roberta Akin, health food advocates Jerome I. Rodale (taught by wife Anna) and Gaylord Hauser, we began our march of progress and are still learning about how foods help and non-foods hurt our health. Goodness, have we made changes in our eating habits over the years. Hardly a day goes by but that we discover a new food and better ways of managing our bodies. Far from perfect, not trim as we should be and still learning…. That’s us at 63 in 1998. We are not models of perfection or saintly in any way, just ordinary people. If you too are open to learning, this quarterly newsletter can be fun. We try to keep it interesting, non-threatening, humble and pleasant to read. Our philosophy is that of Juvenal who is reputed to have said: “Tell truth and it laughingly.” So, eat your greens and grains, chew every bite well, drink water only before and after meals and join with us in dropping the bad habits and unhealthful preferences one-by-one as best you can. All the while, smile! If you have particular needs and interests, let us know. We are delighted to have your letters, cards, email and internet messages anytime. IPBN and PBN exist to serve real people, every one beautiful and different, each a fascinating life story and good neighbor – all of us struggling to become a little bit better and helping others also lighten their lives. Please join us in circulating information, planting little gardens and big farms, searching for truth, trying wonderful real foods and sharing them with others, encouraging scientific education aimed toward healthful living and treading on earth a little more softly. Call and if possible we’ll come. Describe problems and we’ll work together in solving them. Wherever you are, represent IPBN by eating well, sharing foods, smiling and laughing often as possible. The world needs happy herbalists and here we are. Among vegetables, the highest rated item for antioxidant content was garlic, approximately 40% that of blueberries, but higher than strawberries. In order of antioxidant power, then came: kale, spinach, Brussels sprouts, alfalfa sprouts, broccoli, beets, red bell peppers, onions, corn, eggplant, cauliflower, potatoes, cabbage, lettuce, carrots, string beans, celery and cucumbers. Think of getting more than five [IPBN suggests at least 10] servings a day of fruits and vegetables with a variety of colors, for these are associated with different nutrients. Diane Madgic is a Registered Dietitian who worked many years at Stanford University Hospital in Palo Alto, California. She now divides her time between hiking the great outdoors of northern California and consulting. She is an Advisor to the Institute for Plant Based Nutrition. IPBN staff have been interviewed by Sheldon D. Walden who’s “Walden’s Pond” radio program serves New York City green, ecological, vegetarian and other healthful service interests via F.M Radio…. Nice man, good show, big city.